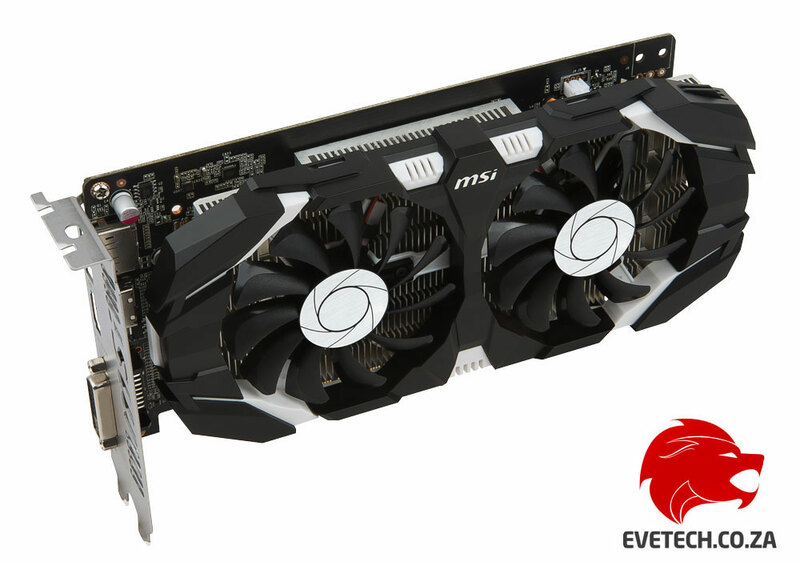 The GeForce GTX 1050 Ti OC from MSI has a very impressive appearance and backs it up with powerful and high quality Military Class 4 components. 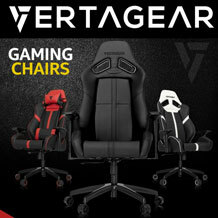 Everyone deserves great gaming. That’s why we created the fast, powerful GeForce® GTX 1050. Now, you can turn your PC into a true gaming rig, powered by NVIDIA Pascal™—the most advanced GPU architecture ever created. 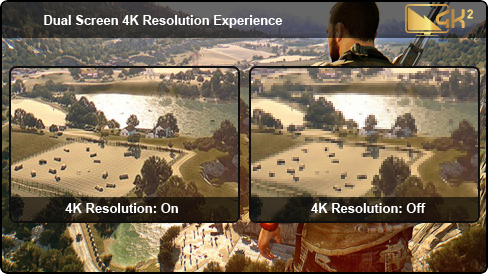 It’s loaded with innovative NVIDIA Game Ready technologies that let every gamer experience the latest titles in their full glory. 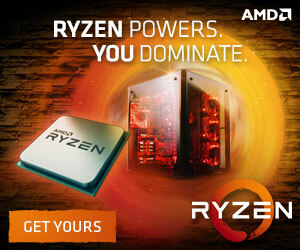 Nvidia is bringing some serious fire-power to the budget segment of the market with seriously exceptional performance at a fraction of the price you’d expect! 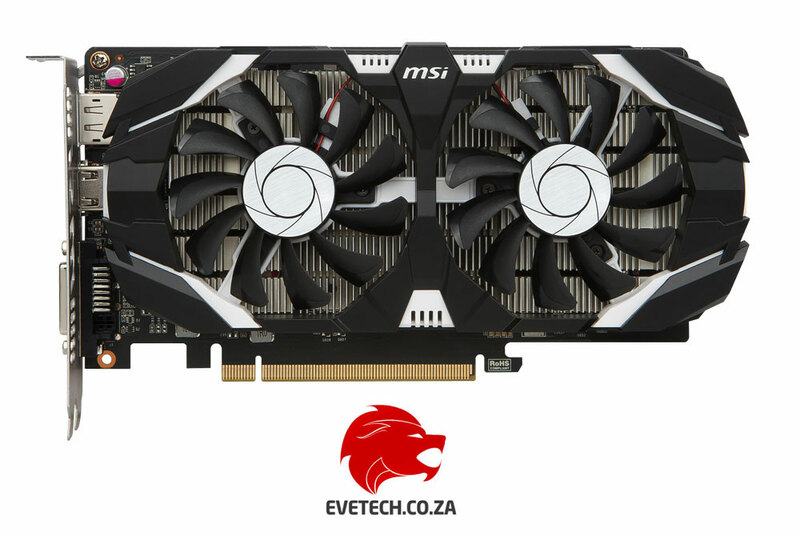 The MSI GTX 1050 Ti OC sport 678 Cuda Cores, with a boost clock of upto 1.4GHz, with 4GB GDDR5 Video Memory. 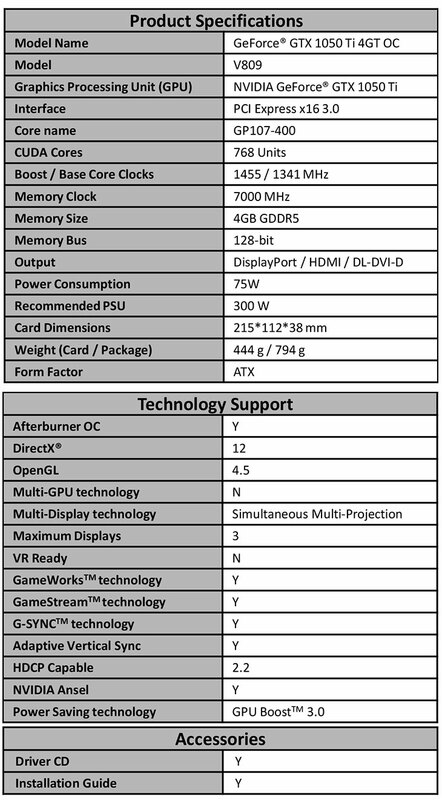 And is also built on the 16nm FinFet production process as well as support many of the new Pascal features like Nvidia Ansel. Advanced Dual Fan design inspired the GTX 1050 Ti OC Dual Fan Edition is coated with a classy black and white finish. 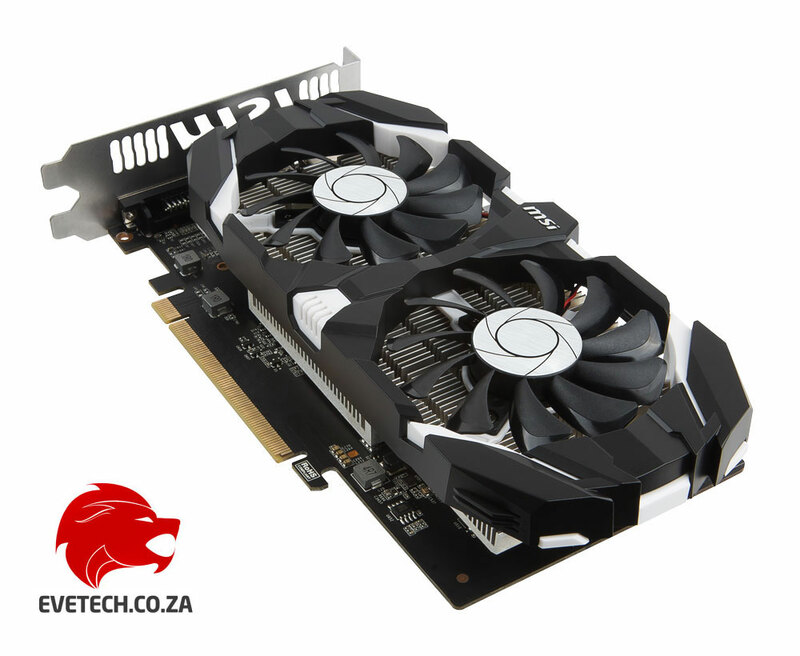 Game or case mod with this stylish graphics card from MSI - the GTX 1050 Ti OC is gaming and class combine. Intake more airflow to maximize air dissipation to heat sink. 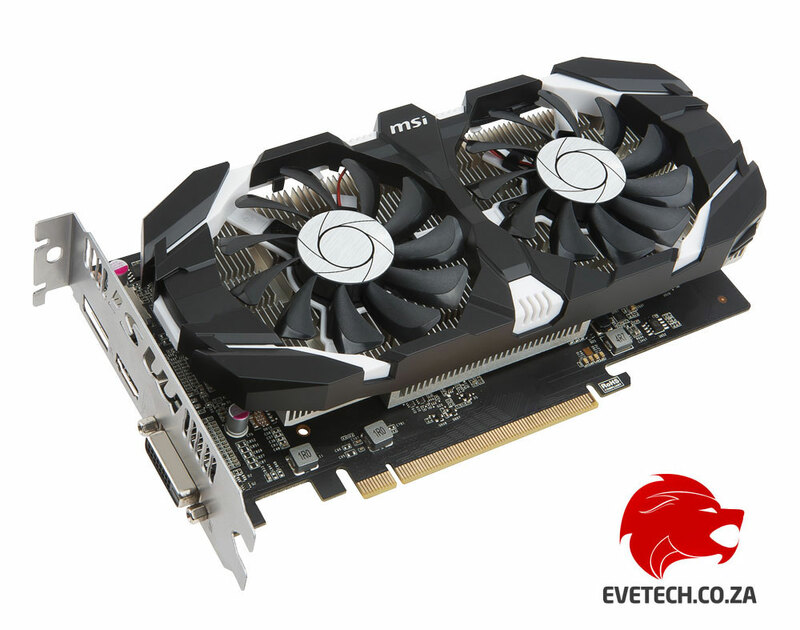 As well as the inner cooling the GTX 1050 Ti OC features dual fans. The patented blade design these fans have produce a strong cooling performance, yet remain extremely quiet. 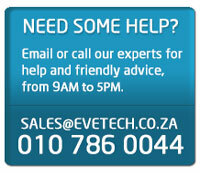 A deciding factor in your graphics card’s performance is the quality of components that are used. 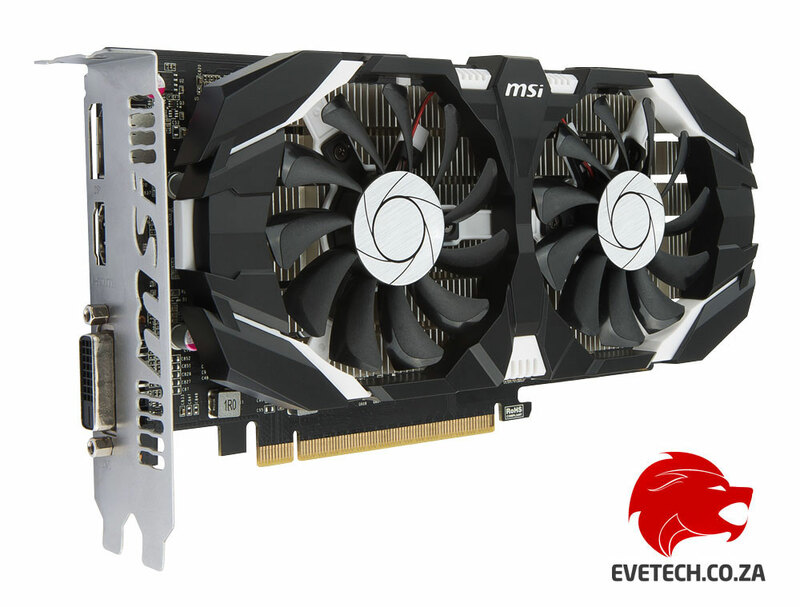 MSI GTX 1050 Ti OC makes use of only MIL-STD-810G certified components to ensure the highest quality possible. When stress tested under torturous circumstances these components have proven very durable. 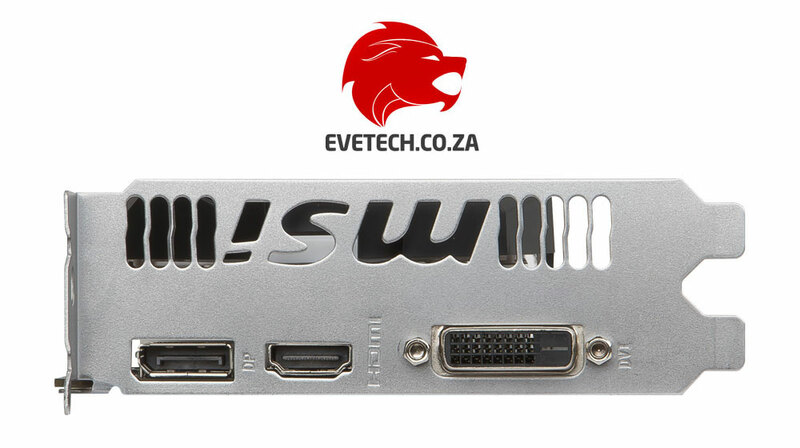 With HDMI and DisplayPort ports connected to this MSI GTX 1050 Ti OC, it can provide a good experience at 4K monitor. 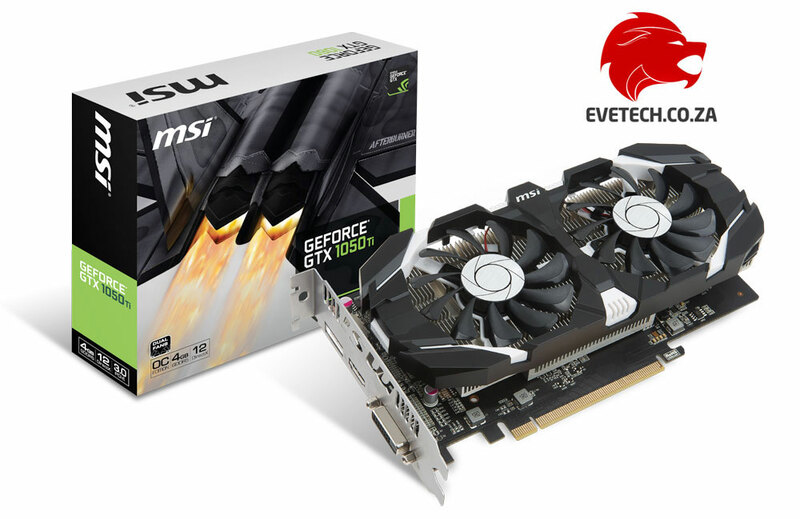 Revel in detail filled game worlds with MSI GTX 1050 GPU and its immense graphic power. Micro-Star International (MSI) is a pioneer in motherboard & graphics card technology and has been producing quality products since 1986. 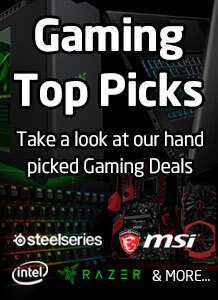 Today, MSI is a gaming and performance enthusiast-oriented brand which focuses on providing the global gaming and overclocking community with some of the the best choices available for computer hardware. 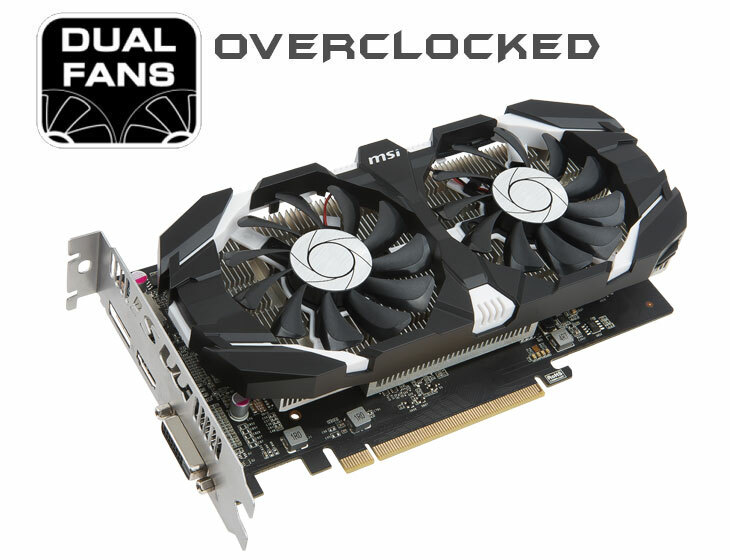 MSI manufactures motherboards for both Intel and AMD and graphics solutions for both AMD and Nvidia graphics cards. 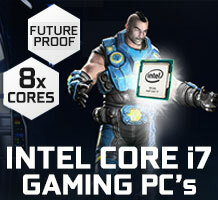 These two ventures make up the bulk of MSI's prowess as a technology company but its product range doesn't end there. 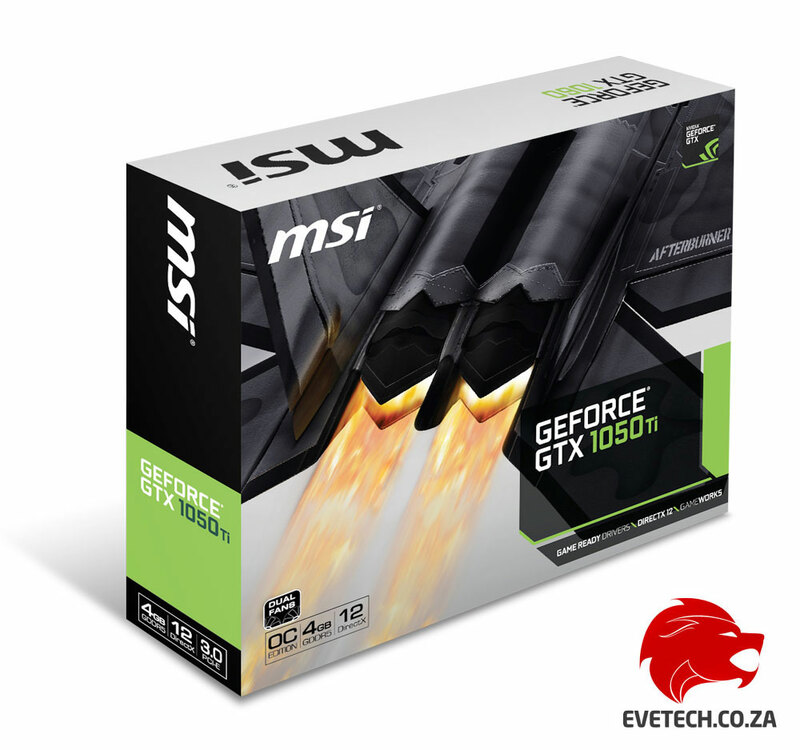 MSI also produces some of the most powerful & Best value gaming laptops on the market, utilising its knowledge of motherboards and graphics hardware to give you maximum performance possible in a small and portable form factor. 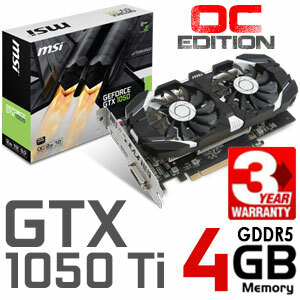 MSI's unlimited passion has driven the company to be one of the global leaders in the design and manufacturing of gaming motherboards and graphics cards. MSI holds over 12.000 awards for its products and this is all thanks to the innovation and attention to quality which is brought about by that never-ending passion that MSI possesses.